Kilimanjaro Dispatch: August 11, 2015 – Success on Kilimanjaro! Hello Berg Adventures! This is Thomas speaking right here at Stella Point with Ann and Steve. They are all reaching the roof of Africa, 5,895 m.
They are all doing okay. 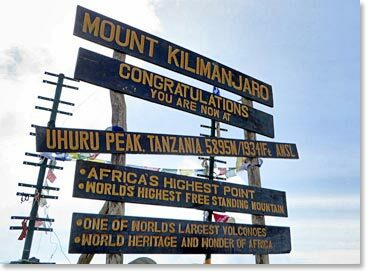 We are going back down to Mweka hut. We are going to inform you what’s next for tomorrow. All are doing okay. They fulfilled their dreams! That’s why they do it, Berg Adventures. If you want to do it, the roof of Africa, don’t forget to pick the Berg Adventures! Congratulations to the team for reaching the summit! !